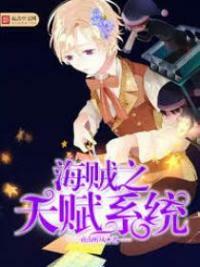 You’re reading novel The Demonic King Chases His Wife: The Rebellious Good-for-Nothing Miss Chapter 1254 online at LightNovelFree.com. Please use the follow button to get notification about the latest chapter next time when you visit LightNovelFree.com. Use F11 button to read novel in full-screen(PC only). Drop by anytime you want to read free – fast – latest novel. It’s great if you could leave a comment, share your opinion about the new chapters, new novel with others on the internet. We’ll do our best to bring you the finest, latest novel everyday. Enjoy! The First Elder denied again, "As for that other person… You couldn't find head or tail of the divine dragon. Likewise, it's even more beneath their dignity to do such a thing." "Then, just who is this expert that would move against us Central Palace, time and time again?" Mo Zixu felt that he had an extremely painful headache. "Don't know." First Elder also had a headache and rubbed his temples, "Thinking back and forth about this, this doesn't fit those few people's style at all." First Elder simply didn't take Su Luo into consideration. 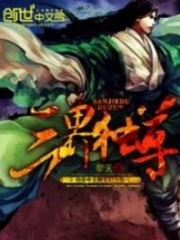 This was because from his perspective, the person with the highest cultivation in Su Luo's party was only at the eighth rank, completely unable to stir up even a bit of a wave. First Elder took a deep breath: "Right now, the most important thing isn't to catch the black hand behind the scenes." Because even if they knew who was behind this, Central Palace still had no way to deal with him. After all, if this person could steal the Divine Spirit Tree, loot the Treasure Storage Pavilion, and inflict serious damage to Elder Ancestor Mo, how could this be an ordinary person? "Right now, the most important thing is to help Elder Ancestor to expel the contamination in his mind." First Elder went straight to the main point. Palace Master Mo had a major headache: "The Divine Spirit Tree is gone. The six Divine Spirit Fruits on that tree are also completely gone with it. All the elixirs and medicine in the Treasure Storage Pavilion, even medicinal herbs, were all stolen. Not even a leaf remained…"
First Elder's complexion immediately darkened! Palace Master Mo continued to grumble helplessly and sadly, "Even that last Divine Spirit Fruit was sent to Su Luo to raise her for her blood. Now, we can't take out even a bit of spirit medicine." Central Palace had become poor to this degree, if it were to spread out, who would believe it? However, in fact, now, they were even worse off than a beggar. 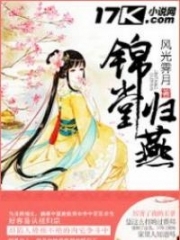 Hearing Palace Master Mo's words, First Elder's eyes, however, suddenly flashed: "Su Luo! That's right! Precisely that Su Luo!" First Elder shouted this loudly and directly turned around to rush outside. Palace Master Mo also wasn't a fool. Being reminded like this by First Elder, he also immediately understood. That was right ah. Just now, he had still been sighing about how Central Palace didn't have any spirit medicine. In fact, the most effective spirit medicine was from Su Luo, whose body contained the medicinal Scarlet Blood Ningpo figwort. To complain about being poor when there was such legendary super medicine, he really was being too foolish just now. Consequently, Palace Master Mo was in a very good mood as he waited for First Elder to bring Su Luo, this human blood medicine over. At an unknown and remote courtyard in Central Palace. Su Luo had just returned when she saw Nangong Liuyun slowly finished cultivating. He opened his eyes which were bright like stars. "You're back?" The corners of Nangong Liuyun's mouth hooked up into a demonically charming smile. With a reach of his hand, he pulled Su Luo down into his warm chest. Su Luo giggled as she pinched his face: "Seeing how your complexion is much better, your cultivation must have recovered quite a bit, right?" "It's all thanks to the efforts of my family's Luo girl." Nangong Liuyun seized the opportunity to stealthily kiss Su Luo on her cheek in a joyful mood, "The effects of Divine Spirit Fruits in restoring my cultivation is indeed quite good. Right now, I'm already at the peak of the ninth rank." When Su Luo heard this, her heart was even more joyous: "If it's like what you said, then, very quickly, you'll be restored to your original cultivation?" Nangong Liuyun's eyes were like the stars in the night sky, flickering with a dazzling and resplendent radiance. He nodded with a smile, "Uh-huh." There was even an unexpected pleasant surprise from having his cultivation restored, but this must be kept secret for the time being. "Luo Luo, you've come back?" Beichen Ying and Zi Yan returned from wandering aimlessly outside. Seeing Su Luo, he rushed in like an artillery sh.e.l.l. Zi Yan had wanted to pull him to a stop, but wasn't able to do so. Nangong Liuyun glared resentfully at the irksome presence of this hindrance. At this moment, Beichen Ying's eyes and thoughts were all focused on Su Luo. Although he felt a chill on his back, but he didn't really pay much attention to it. 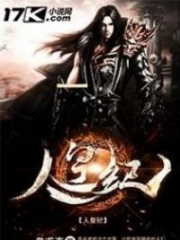 He pulled Su Luo along with stars filling his eyes: "Luo Luo, this time, what did you teleport back? Why do I smell something so good?" 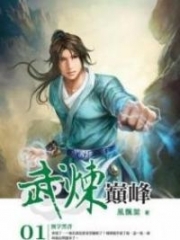 You're reading novel The Demonic King Chases His Wife: The Rebellious Good-for-Nothing Miss Chapter 1254 online at LightNovelFree.com. You can use the follow function to bookmark your favorite novel ( Only for registered users ). If you find any errors ( broken links, can't load photos, etc.. ), Please let us know so we can fix it as soon as possible. And when you start a conversation or debate about a certain topic with other people, please do not offend them just because you don't like their opinions. You're reading The Demonic King Chases His Wife: The Rebellious Good-for-Nothing Miss Chapter 1254. This novel has been translated by Updating. Author: Su Xiao Nuan,苏小暖 already has 9787 views. Current Time is Apr-22-2019 16:50:16 PM.